Family Health Physical Medicine always appreciates feedback from our valued patients. To date, we’re thrilled to have collected 58 reviews with an average rating of 4.95 out of 5 stars. 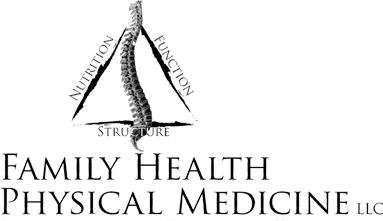 Please read what others are saying about Family Health Physical Medicine below, and as always, we would love to collect your feedback. Office staff exceptional. Was very pleased with treatment from staff. Dr. Nick is the best. Always leave feeling better. Great staff , very caring and helpful. Feel much better after I visit Dr. Nick. The experience is wonderful and the migraines that I was having are less and not as strong as they were before I started coming to the office. Awesome! Dr. Nick and his staff are fantastic. If you are in need of a Chiropractor, I recommend Dr Nick Koinoglou. No waiting very caring and excellent service. I received great care and so has my family. I just had a stem cell injection on Tuesday and Thursday was my first day back at work. Already, in this short amt. of time I am feeling less pain and stiffness. Everyone in the off ice is so nice and helpful. Not your ypical rushed ordeal. Thanks guys. wonderful! cant wait to go back! Friendly , treated with care and professionalism . I would highly recommend Dr Nick and staff. I was thoroughly pleased with the ease of making an appt., the friendliness of the entire staff: Jackie, to Jeremy, all the way to Dr. Koinoglou. They were all thorough and listened to me, which is sometimes difficult with doctor offices. They took their time and were knowledgeable and caring. This place is Alliance’s little secret. I am pleased I was referred to them & looking forward to going back.